Elsie Devine, is one of over 650 people who are estimated to have lost their lives at Gosport War Memorial Hospital in Hampshire over the period from 1989 to 2000. The exact number will never be known. “She had never been away from us, or in hospital before. She was admitted to a respite ward at Gosport following a urine infection - just until we could return from London. Four weeks later, we were told that she’d died”, said Bridget Reeves, Elsie’s granddaughter (pictured with her). Hundreds of patients expecting rehabilitation or respite care before returning home were instead inappropriately administered lethal doses of painkillers via syringe drivers, placed on an end-of-life care pathways, and consequently left the hospital in body bags. The latest independent report into Gosport (there have been several, yet not a single prosecution) published in June 2018 revealed multiple individual and institutional failings over the period in question, involving senior hospital management, coroners, the Department of Health, the General Medical Council (GMC), the Nursing and Midwifery Council (NMC), and Hampshire police. The painful truth is that the vast majority of these tragic deaths could have been avoided if adequate whistleblowing protections and procedures were in place. Two principled and brave staff nurses - Anita Tubbritt and Sylvia Giffin – were among those who had raised the alarm back in 1989, only to be ostracised and demonised as a result. This is not an isolated incident. There have been further care failures featuring staff too frightened to whistleblow on avoidable deaths, such as at Stafford Hospital (“Mid Staffs”) between 2005 and 2009; and numerous whistleblowers have been wrongly victimised for raising concerns about unsafe practice in the NHS, including Dr. Kevin Beatt at Croydon University Hospital. In the UK, whistleblowing is defined as the raising of concerns in the public interest, by a worker, either to their employer or externally through a range of designated channels. Whistleblowers serve a vital function in any democratic society and transparent organisation. They are the pressure valves across public sectors and private institutions - not just the NHS - and act in our best interests when the system fails to. For all our sakes, particularly in times of austerity with staffing cuts and service closures, they must be taken seriously and protected. Yet outdated legislation - the Public Interest Disclosure Act 1998 (PIDA) - is not ensuring that whistleblowers’ concerns are addressed, is failing to protect them from harassment by managers or co-workers, and from loss of livelihood. Perversely, seemingly limitless public funds are being squandered on silencing well-intentioned NHS staff. There is a belief amongst some that Freedom to Speak Up Guardians (introduced following Sir Robert Francis’s Mid Staffs Public Inquiry in 2013) has addressed these issues. In reality, this costly initiative lacks good evidence and is woefully inadequate; Guardians are employees of the Trusts they are supposed to be holding to account, with no powers to act or formal role in proceedings. Matt Hancock’s recent vague platitudes are what we’ve become accustomed to hearing from the political Establishment. Institutional corruption and the corporate culture of bullying cannot be overcome without specific demands for genuine legislative reform, lead by whistleblowers themselves and with the support of grassroots campaigners. Dr. Minh Alexander, a whistleblower and former NHS consultant psychiatrist, and colleagues have produced a working document that provides the basis for a new law, the Public Interest Protection Bill, which mandates timely investigation of concerns, if necessary by an independent body with powers to enforce good practice, protecting both whistleblowers and the public interest. It has the support of Dr. Philippa Whitford MP. Labour as the party of radical, progressive politics, should back this initiative. As should unions, including the British Medical Association (BMA) and the Royal College of Nursing (RCN). You too can lend your support by sending this letter to your MP. 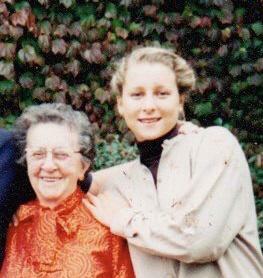 I can’t help but think of the similarities between Bridget and myself; we were both blessed to have had an amazing, fiercely independent grandmother who lived with us and whom we loved like a second mum. It could so easily have been my family. And because there can be no change without justice, it could so easily be yours too.